A brochure is your brand at a glance, but one brochure does not fit all needs. 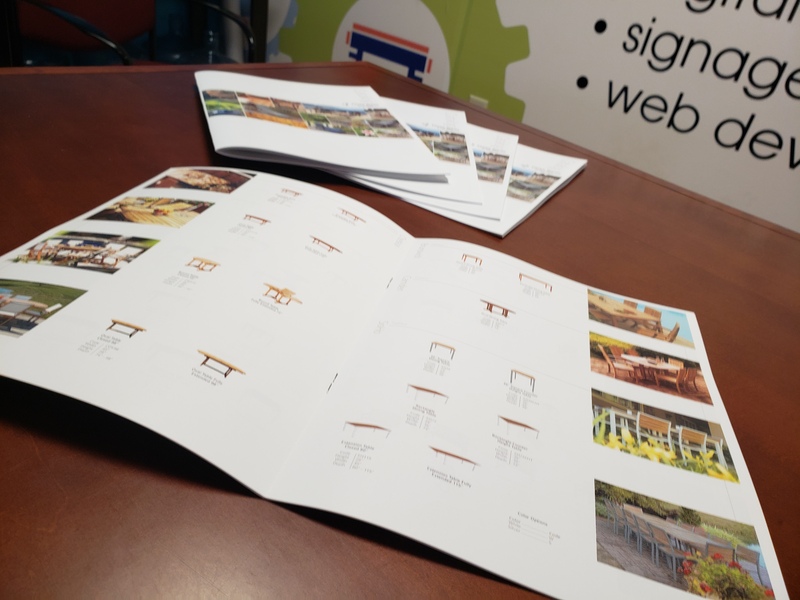 We have put together this short list of brochure types to help you identify what type or types you may need. 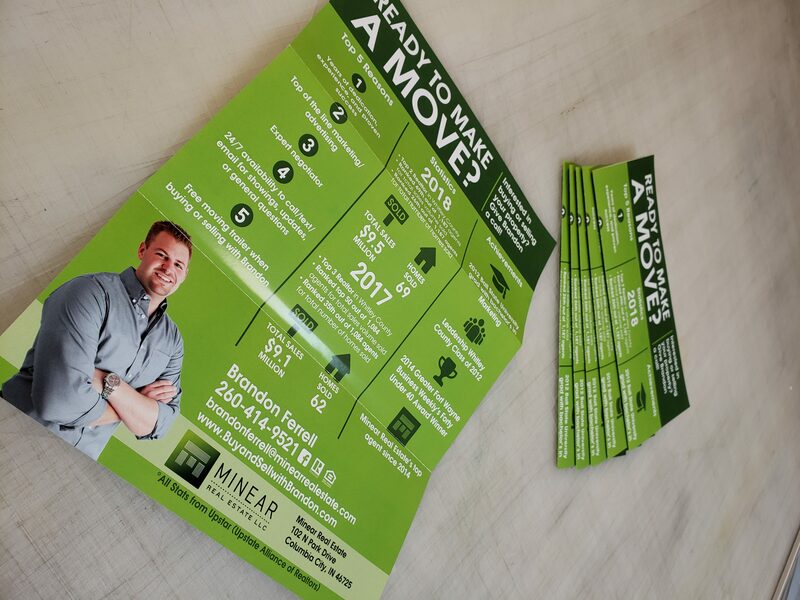 Leave-behind brochures include complete descriptions and benefits of your product and/or services. 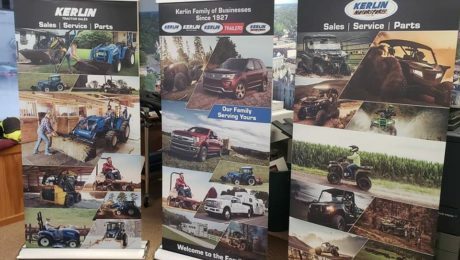 These are great to leave after meeting with potential customers to make a lasting and profitable impression! Sales Kit Brochures are like leave-behinds but have larger photos, pages and headlines. These are used as sales aids to help you describe and showcase your product or services. These will keep your audience interested and help them retain the information after the pitch is delivered. Over the counter brochures are a piece that you would like your customers to take when visiting your brick and mortar storefront. 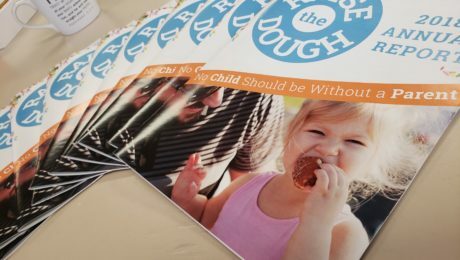 One look should be enough for your customers to know what your brochures are all about. The key to point-of-sale brochure is to have catchy headlines and images to attract attention. Its purpose is to spark interest so that your potential customers would ask more questions. 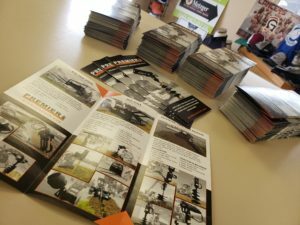 Q&A brochures are great for potential customers whom inquire about your business. This is a great opportunity for you to seal the deal because the customer is already interested in your brand. 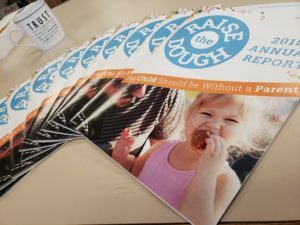 We recommend having a number of Q&A Brochures on different topics put together for quick responses! Though this is a great tool, we would also recommend not to follow up with the brochure alone. A handwritten note still goes a long way! Direct mail brochures are among our most effective print pieces we offer. Why you may ask? 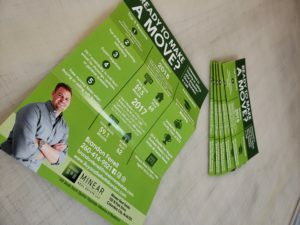 Direct mail is a very popular form of marketing but a well designed and uniquely folded brochure mailed rather than a standard post card will stand out to a carefully selected mailing list. The effectiveness of this tool goes way up with amazing new tools like Variable Data Printing (VDP). 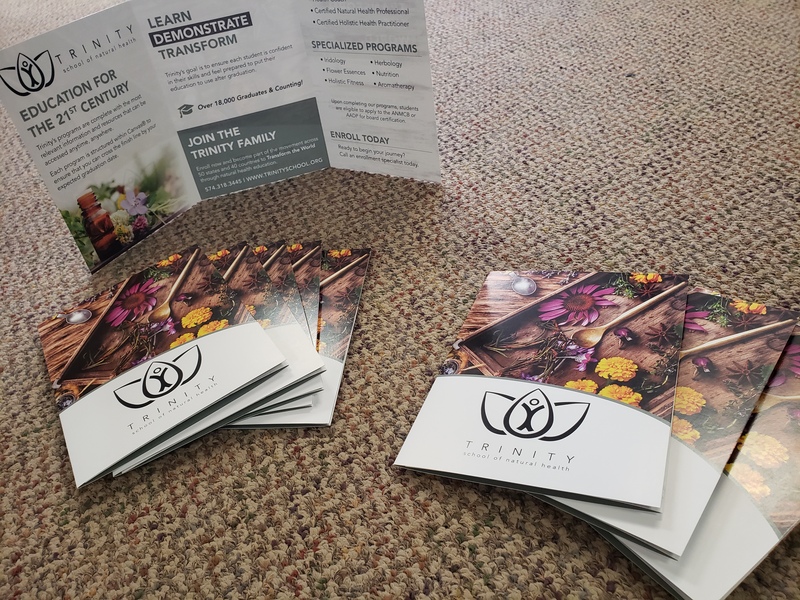 This revolutionary tool makes it possible to completely customize your brochures with first and last names from your list and even custom images! 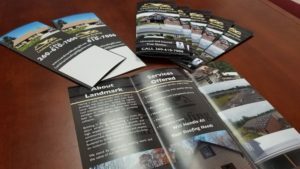 Give us a call to discuss more possibilities with VDP on your next direct mail brochure! How often do you leave a team meeting with great new ideas or unearth new needs from team members and have no way to execute? Maybe you do not have the tools or likely the extra time to get the done on time. New marketing collateral, internal forms, promotional graphics, social media posts; these are all materials that can really make your sales efforts stand out! Imagine having a team that will take care of all of this for you! BLUE RIVER DIGITAL CAN BE YOUR MARKETING TEAM! 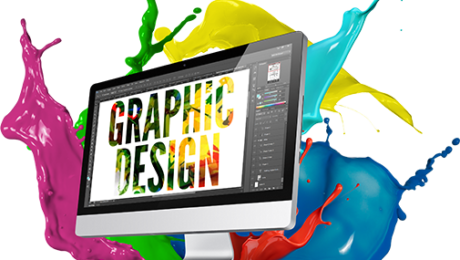 Blue River Digital can handle your graphic design, website management or maintenance needs, or even your social media page management, on a monthly basis so you can focus on running your business! With our retainer design services, your business can begin to take advantage of the numerous benefits when partnering with BRD! • Peace of Mind: Guaranteed amount of prioritized monthly work. • Discounted Hourly Rate: The more hours you commit each month, the lower the rate. • Simplified Accounting: Pay a set amount each month for the duration of the retainer contract. • Less Paperwork: Eliminate the need to sign multiple contracts and track multiple invoices. Graphic Design: ex. Marketing Materials, Forms, Promotional images etc. Print Materials: ex. 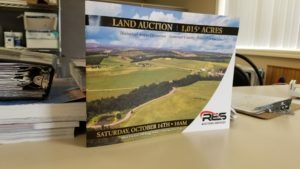 Flyers, brochures, line sheets, etc. Digital Materials: ex. 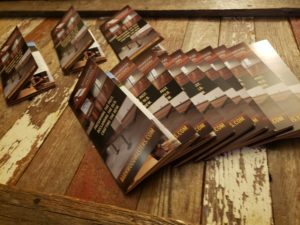 Social media graphics, blog banners, eBook covers and layout, etc. Photography: Get photos of your products shot and edited to be used in your marketing materials. Lifestyle shots or white background available. Website Updates & Maintenance: ONLY for customers who have WordPress and Shopify websites. ex. Content and graphic changes, product updates, platform or plugin updates and general web maintenance and troubleshooting. Expenses: Services do not include additional costs like printing, apparel, promotional items, signage ex. Retainer packages may not be a good fit for all businesses, but if you have monthly specials, regular events, or large amount of web updates; it is definitely something worth considering and we would love to discuss that with you! Please give us a call today (260.248.2749 ) or fill out the form below for addition information and a retainer audit for your business! Request A Retainer Audit or Just Learn More! Your Google My Business profile is the first thing people see when they search for your company online. That makes it a critical part of your marketing mix. 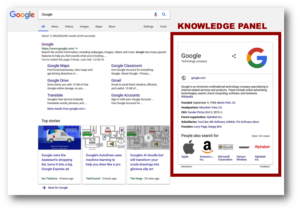 Your business information appears in numerous places all over the internet, including a knowledge panel on the right side of the Google search engine results page and Google Maps on desktops and mobile devices. That means it’s really, really important to make sure your business’s information is correct and up-to-date! Verifying, correcting and maintaining your Google My Business Account is a service our Digital Marketing Department offers here at Blue River Digital! 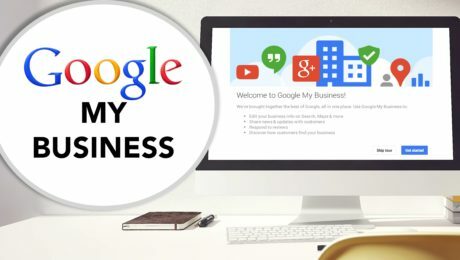 With complete transparency, setting up and maintaining your Google My Business Account is a completely free process from Google and with time and effort you can perform the service on you own. Although, many of us find it difficult to find the time within our daily schedules to complete our daily tasks let alone navigate the vastness of Google. 2019 is here! Take the time for yourself! Well it’s march and it has been 3 months since our last blog entry. I guess that means we have been busy and have forgotten, which is mostly true. I think it’s that we just forgot. Anyway, I wanted to write this as a reminder to ourselves and to anyone reading this entry, that we need to to take the time to work on our own image as a business, work on ourselves, improving our workflow and improving our outlook. At the end of the day if you do five more jobs then you anticipated that might be success for many of us. Yes, it would be a success by completing more work and perhaps making more money, but did we really improve our outlook on the big picture, did we smile today, did we enjoy our day at work? Take the time to invest in yourself, and learn to keep those thoughts of improvement on the front burner. Are you using video on your website and social media? If not, you should be. We are finding out more and more that video will become very important to your company and its future in the next five years. Here are a few staggering statistics to get you thinking. • YouTube has over a billion users, almost one-third of total internet users. • 87% of online marketers use video content. • One-third of online activity is spent watching video. • 92 percent of mobile video viewers share videos with others. • Viewers retain 95% of a message when they watch it in a video compared to 10% when reading it in text. • By 2019, internet video traffic will account for 80% of all consumer Internet traffic. How would I use video in my industry? Have an upcoming event? Have important news? Need installation information? 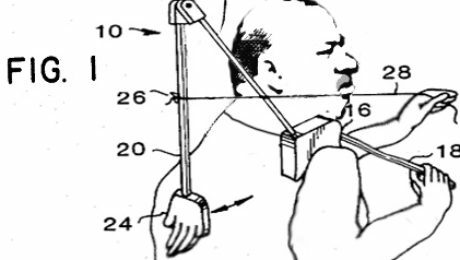 How about using your product? You can effectively communicate any important information that you want your audience to hear through video and it will reach more viewers and at the end of the day which will increase your profits! When specifically talking about the auction industry, we are finding that both aerial videography and surface videography are important. 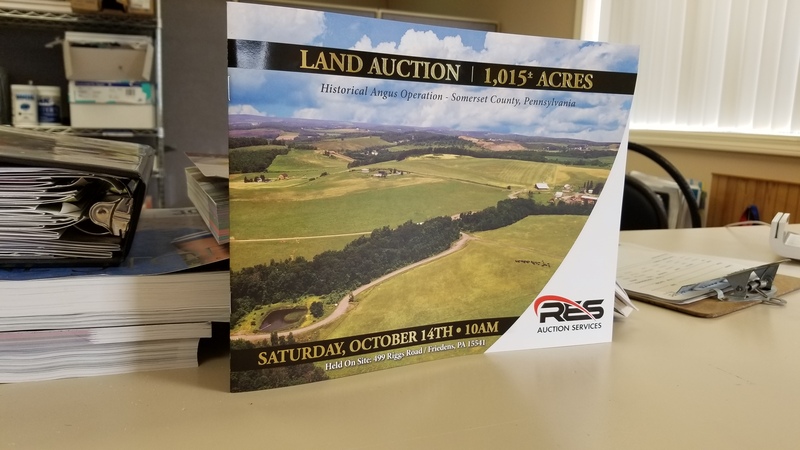 Aerial video works great to show large audiences at an auction, large portions of land and its individual tracts, a complete line up of equipment, and of course great photos and a different perspective to the viewer. 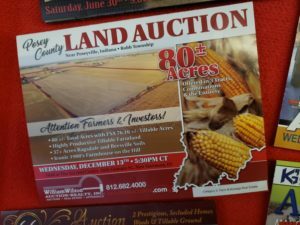 Having video from on the ground and close up also works great by capturing “in the moment” video, great sound; and a close up look at the equipment or the auctioneer. Combine the two perspectives and you have great visuals to go along with your talking points. The process of making a video. 1. You have two options in capturing the video. Capture the video yourself, or hire a professional to capture the video for you. If you are on a budget and you don’t growl at the idea of taking some video, then I would suggest buying the equipment and shooting it yourself. There is a learning curve that comes with shooting video and getting the best results, but lets not let that get in the way. Most of these videos are going to be 2 minutes or less which means you don’t need to be Steven Spielberg to get effective video. Being stable and smooth while capturing the moments you need is 80% of the battle. 2. If either, you have the video captured, or do it yourself, you will need to edit the video and have it saved for publishing. What you will want from this process, is the finished video product with motion graphics, maybe an intro, voice over, background music, color editing, etc. While I am biased to Blue River Digital (www.blueriverd.com) on being your video editing source, there are many professional media companies that could do the job. 3. Publishing your video is relatively easy. I would recommend using Youtube or Vimeo as your primary video platform. You can set up an account for free and upload your videos to either source. Once they are uploaded you can then embed the video directly into Facebook, your website, or any other web platform that you may desire. Aerial Videography: We have chosen to use DJI products for our aerial video production. Why? Well, when I first started flying a quadcopter in 2014, it was one of the original DJI products and since then I haven’t had any issues with DJI and I firmly believe they have the best technology on the market and they are a step ahead of everyone else. Everyone else such as GoPro, Autel Robotics, Yuneec, etc are all in the game, but are slightly behind DJI. What DJI product do I recommend for you? It all depends on your specific industry. If it is large portions of land that you auction or farm then I personally would go with the DJI Inspire. The Inspire has significant range along with faster speeds to allow more land coverage with better camera resolution. It does cost about double over the other options which would be the DJI Phantom 4 and DJI Mavic Pro. The DJI Phantom 4 would still work great for large land coverage and would also work great for large equipment line ups. It would be great for any outdoor events and the cost is roughly half of the DJI Inspire and still provides high quality video. The DJI Mavic Pro is much smaller in size and therefore could work for close up video needed in tight spots, indoor scenes, and subject tracking video. The price for these are less, but you will sacrifice a little bit of video quality but is still a great choice overall. For our interviews and on the ground footage, we use a panasonic GH4 camera, with a Nikon lens and Metabones speed booster. We place the camera on a large gimble that keeps the video stable. This gimble is the DJI Ronin and it’s well worth the cash. The GH4 has built in wifi which can allow an ipad with the panasonic viewer app control the GH4 and all of its settings remotely. Mount the ipad to the top of the ronin and you’re in business. Only one thing is missing, if you want or need high quality sound, purchase the Rode shotgun mic that is either built for DSLR cameras or the large shotgun mic that you can carry and pickup much better sound. An alternatvie low cost solution to all of the above is the DJI Osmo. The DJI Osmo is a handheld camera that produces stable, high quality video, and can be outfitted with microphones, phone holders and other accessories. The FAA has several regulations regarding the flying of your UAS (Unmanned Aircraft System). 1. You have to register your aircraft with the FAA and can do so for $5 online via the FAA.gov website. This requirement is currently under review and may not be necessary in the future, but for now, I would recommend registering it. 2. To fly your UAS for commercial reasons the pilot of the aircraft must obtain a part 107 UAS Remote Pilot Certificate. I have personally taken this exam and would recommend taking this exam even if you are flying for fun. The knowledge I obtained during my time studying for this exam was very helpful in teaching me about weather, airspace, altitude, lattitude and longitude. Without going into too much detail you can obtain all the necessary information that you need to take the exam from the FAA.gov website. I would be glad to answer any questions in detail regarding FAA certification. Just shoot me an email (ryan@blueriverd.com) if you are serious about getting your part 107 and I can give you some helpful information and save you up to $180 by choosing the right study tools.